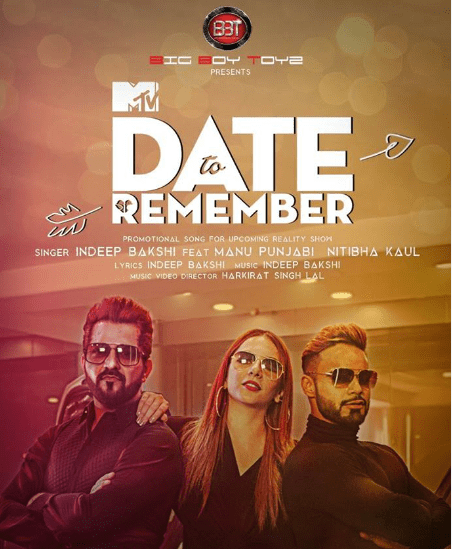 MTV’s popular show ‘Date to Remember’ is getting high on aggression with fights between the current and ex-lovers increasing and intensifying day by day. The contestants have been divided into various camps. Episode 5 which is all set to be telecasted tomorrow will see a fight between Afreen Rahat & Pratibha Phogat for Aqib Shabir. The fight also continued in front of the captain Manu Punjabi & host Nitibha Kaul. Afreen alleged that she was not getting as much importance as compared to ex-girlfriend Pratibha. Time only would be able to tell how the show shapes up. Producer of the show Santosh Gupta, Managing Director, Pinnacle Entertainment said “Date to Remember as a show will see some relationships being tested on various fronts. Some of them will not be able to take the pressure. The pressure is all set to increase from one episode to another.” While co-producer Sarabjeet Anand of Promon.in said; “The show is a test of love, and true love has to face obstacles. The obstacles coming in the form of past lovers is what the show is about. Captain of the show Manu Punjabi said, “This was supposed to happen sooner or later. The fights have increased and we are not surprised in today’s world of fickle relationships.